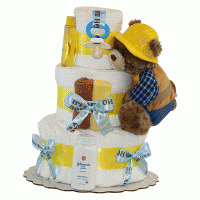 When it comes to baby gifts, none is more unique or delicious than our Milk & Cake Baby Gift. 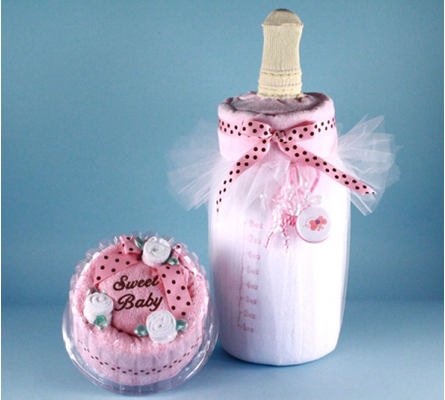 The "milk" part of this tasty combination is represented by our fabulous Baby Bottle Blankie, which is made from a soft and cuddly "milky" fabric. 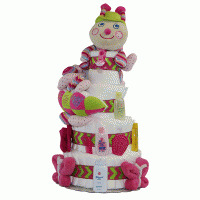 Babies love these baby blankets so much that mothers tell us that it is their baby's favorite. 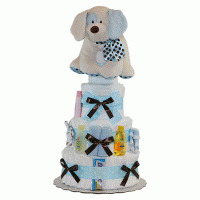 The "cake" is actually made from an all natural hooded towel and washcloths. 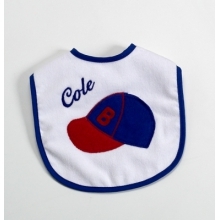 "Sweet Baby" is beautifully embroidered on both the towel and one of the washcloths to complete this unique baby gift. Ingredients: Baby Bottle Blankie Terry Hooded Towel 6 terry washcloths Terry burp pad 2-pair of socks Some Baby Gift Ideas: 1) Bring a Milk & Cake Baby Gift to the baby shower and use it as a baby shower centerpiece; 2) Add a treat for mom like a delicious piece of chocolate; 3) Order a personalized version with baby's name.